whilst helping the reader to understand and cope with existing heart disease. The book is structured to provide information on topics ranging from basic cardiovascular anatomy and physiology - as needed to understand the various pathologies discussed - to symptoms, clinical situations, investigations and available treatments. Beside medical information, the reader will find practical advice on how to communicate with the cardiologist, and how to prepare for certain tests. A glossary with commonly encountered medical terms is also included. Although targeted mainly at cardiac patients with heart disease and their families, this book will also be useful for paramedics, specialist nurses, support groups, GPs and all those involved in treating heart patients in the community. Overall this book provides a lot more detail than that provided by the information booklets usually supplied to patients at clinic consultation and preadmission visits. I congratulate the author for such a novel approach in information delivery and which considerably help to answer questions over investigations and treatment options offered to patients. * Cardiology News * It's a brilliant little book that can be read in its entirety within 90 minutes. It's well-indexed and I think it would be easy to find one's way through if suddenly trying to get one's head round heart disease. 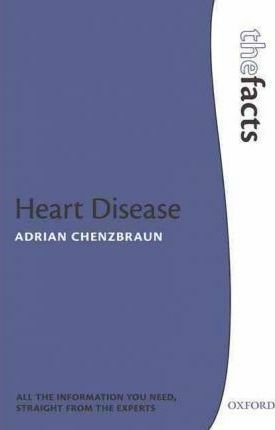 Adrian Chenzbraun was a Consultant Cardiologist in Jerusalem and a Senior Lecturer at the Hebrew University and Hadassah Medical School. He specialized in echocardiography at Stanford University Medical School. Presently, he is a Consultant cardiologist and the Clinical Lead in Echocardiography at The Royal Liverpool University Hospital and has published numerous papers in leading scientific journals, and is the author of Emergency Echocardiography.